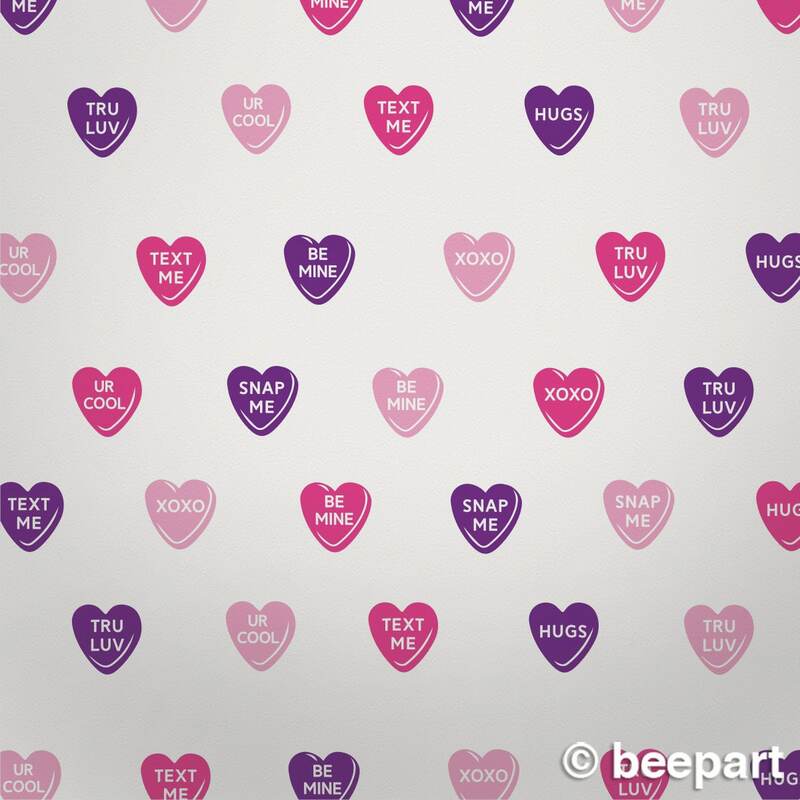 Sweeten up any room with our unique candy hearts wall decal set. Traditional sweethearts designs with a modern twist! 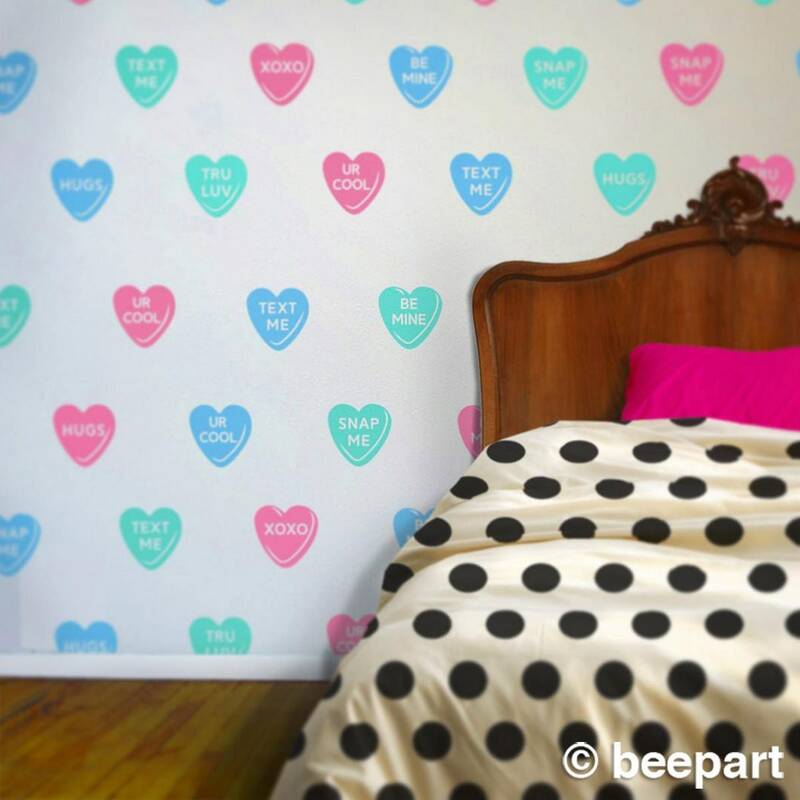 An easy and inexpensive alternative to wallpaper! 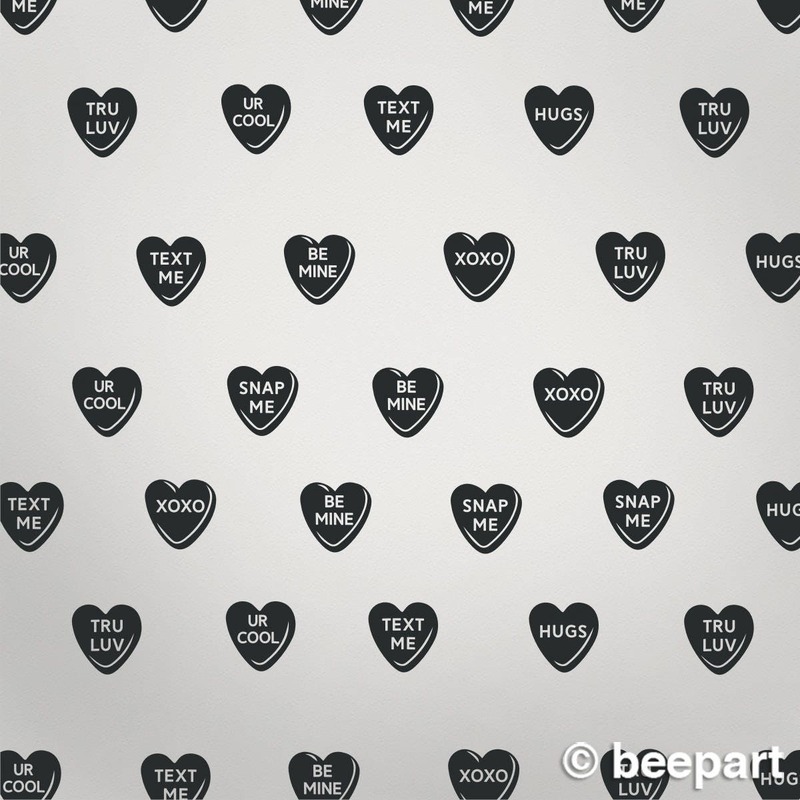 Set of 42 individual heart vinyl decals measuring approx. 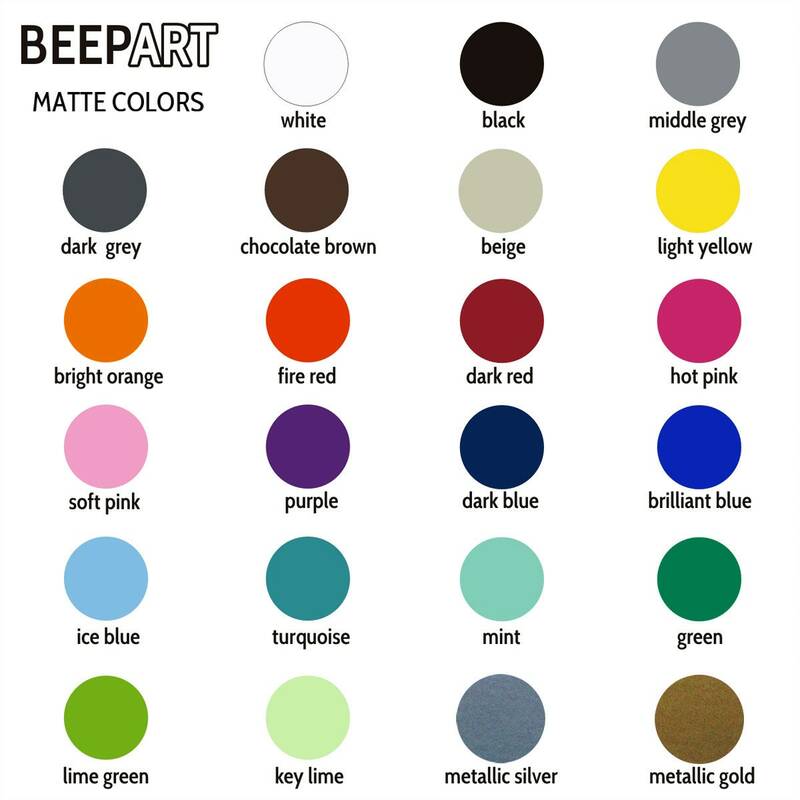 5.75" x 5.75" each in up to 3 colors. 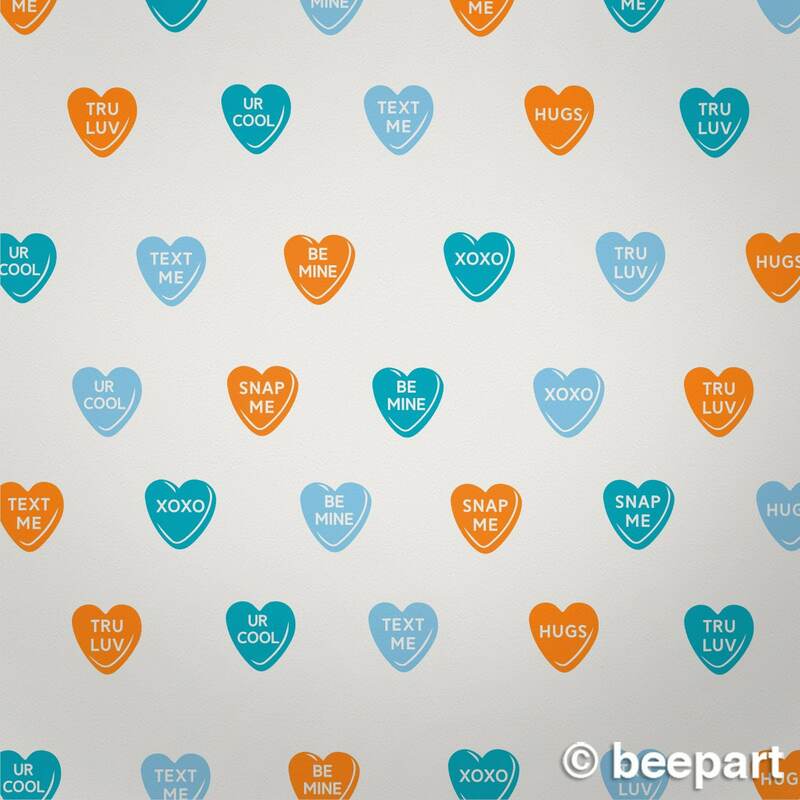 *We can customize the candy messages! -Select your quantity and color combination choice and add the item to your shopping cart, follow checkout instructions. -If you would like custom candy messages or your own choice of 3 colors, let us know in the 'message to seller' window at checkout.